Summary of research on the consequences of extreme weather events, which manifest themselves as disasters, for collective violence as well as on policy measures to mitigate such negative effects. A growing, but contested, majority of studies indicate a slight increase in the likelihood of the occurrence, escalation, and prolongation of collective violence in the wake of disasters. The identification of conditions and mechanisms, some of which increase the likelihood of violence and some of which have the opposite effect, helps us to understand the diversity of outcomes. This includes the consequences of political and humanitarian interventions prior to, during and after disasters, which can overlay local processes. Conditions and mechanisms shaping the link between disasters and collective violence provide opportunities for policy interventions that are already, or can be, taken to mitigate the consequences of extreme events, increasing or reducing the likelihood and level of collective violence. Research support, as well as rich intellectual environments were provided by the Climate Analysis and Prediction (CLISAP) cluster of excellence at the University of Hamburg, Germany, funded by the Deutsche Forschungsgemeinschaft (Exc 177), and the Minerva Center for the Rule of Law under Extreme Conditions, Faculty of Law and Department of Geography and Environmental Studies, University of Haifa, Israel. I would like to thank Tobias Ide, Ilan Kelman, Michael Link, Jürgen Scheffran, Deborah Shmueli, and the editor for helpful comments on this text. Author states that there is no conflict of interest. Ide T. The impact of environmental cooperation on peacemaking: definitions, mechanisms, and empirical evidence. Int Stud Rev. 2018. https://doi.org/10.1093/isr/viy014. Eastin J. Violent eruptions: natural disasters, war, and peace. Dissertation, University of Washington, USA; 2013. https://digital.lib.washington.edu/. 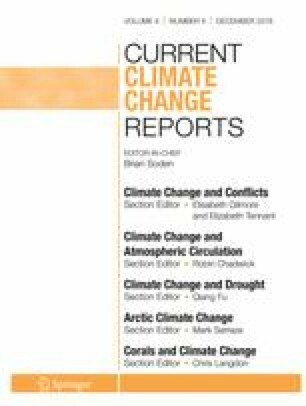 Van Baalen S, Mobjörk M. Climate change and violent conflict in East Africa: integrating qualitative and quantitative research to probe the mechanisms. Int Stud Rev. 2018. https://doi.org/10.1093/isr/vix043. Keels E. Praying for rain? Water Scarcity and the Duration and Outcomes of Civil Wars. Peace Defence Econ. 2017. https://doi.org/10.1080/10242694.2017.1320184. Walch C. Conflict in the eye of the storm. Micro-dynamics of natural disasters, cooperation and armed conflict. Dissertation Upsala University 2016. http://uu.diva-portal.org/smash/record.jsf?pid=div076%307882366&dswid=59. Newman E. Hungry, or hungry for change? food riots and political conflict, 2005–2015. Stud Conflict Terrorism. 2018. https://doi.org/10.1080/1057610X.2018.1454042. Bernath, A. Klimakatastrophen, Vertreibung und Gewalt: eine makro-qualitative Untersuchung sowie eine Einzelfallstudie über den Zusammenhang von umweltbedingten Bevölkerungsbewegungen und gewaltsamen Konflikten. Dissertation, University of Hamburg, Germany; 2016. <http://ediss.sub.uni-hamburg.de/volltexte/2016/7823/pdf/Dissertation.pdf>. Kikuta K. Postdisaster reconstruction as a cause of intrastate violence. an instrumental variable analysis with application to the 2004 Tsunami in Sri Lanka. J Confl Resolut. 2018. https://doi.org/10.1177/0022002717753919.